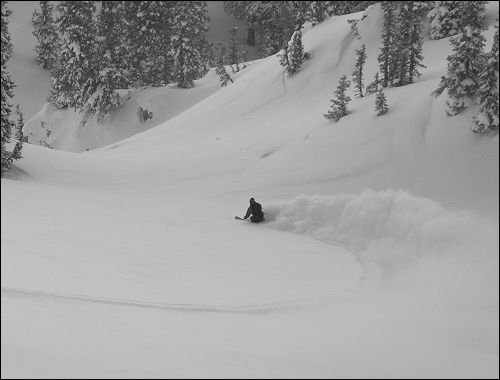 We took a quick afternoon trip into Rocky Point to find perfect untracked pow!! Jeff took dibs on first run and made it look sweet. Since it was such a nice day I snapped a few pics. It wasn't epic amounts of snow but it was light and fun.